In the following article, we'll discuss the general installation procedures for High Intensity Discharge (HID for short) lighting as well as an explanation of what HID's are, how they work, and what you'll need. First off, if you are unfamiliar with HID's here is basically how they work and differ from the standard Halogen or sealed beam lights; HID's have no filament like a halogen bulb does, instead they have electrodes and are filled with Xenon gas and metal salts that create an arc between the electrodes within the bulb itself. That arc heats up the gas within the bulb which creates the light that the bulb puts out and you see. That is the reason a ballast is needed, because of the large amount of voltage it takes to ignite the gas and allow it to have a steady arc. Alright, now when ordering a set of HID's you need to decide what Kelvin temp you want, as well as how many watts. They are available from 3000K (yellow) - all the way to 32000K (purple). Where do I buy a HID kit? There are various Internet retailers that sell "Plug n' Play" HID kits, and they all vary in price. Ebay is a great place to buy a kit for a reasonable price. Also try to find a kit that utilizes the "Slim Ballast" as they tend to have better internals in. 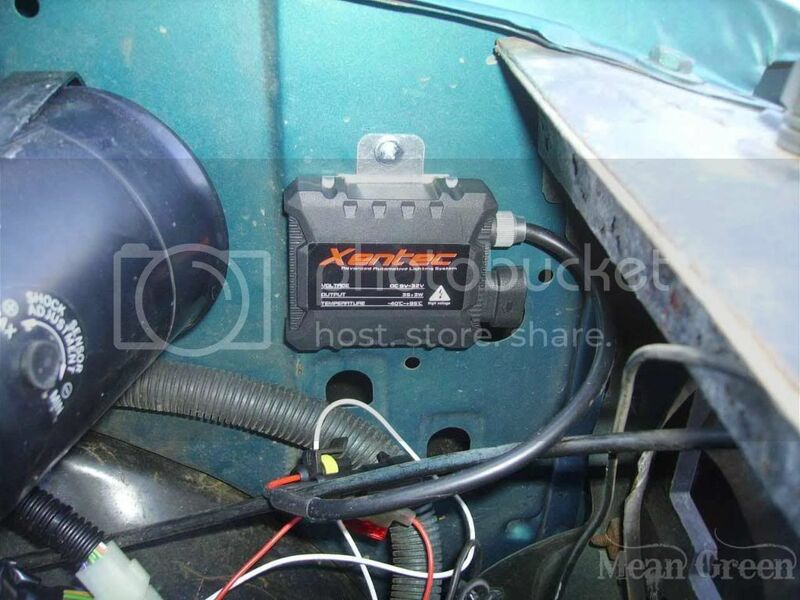 I have Xentrec HID kits on my trucks and have had trouble free operation for over a year. Also beware of sellers that are selling bulbs that are like $10. They use words like “HID” and “Xenon” to get people interested and try to fool them into thinking that they are legit HID's. These bulbs don't utilize ballasts and do not run like a true HIDs. They’re just a halogen bulbs with a blue tint on them to make the output a different color. Is my OE Headlight Harness going to handle the HID's? In short no, you need to upgrade your headlight harness to install HID's the right way (from an electrical standpoint). With any truck that utilizes a dual lamp set up (ex. separate bulb for the low beams, separate bulb for the high beams) a 4-High Relay kit is a necessity. As the HID's have a "warm up" period that takes anywhere from 3-8 Seconds, during that period your HID's will be omitting very little light and can be dangerous because of lack of visibility. With a 4-high kit installed, the low beams will always be on when your headlights are on, so there is no period where your lights are dim therefore increasing your safety as well as incresing your visibility being the low beams stay on with the high beams. 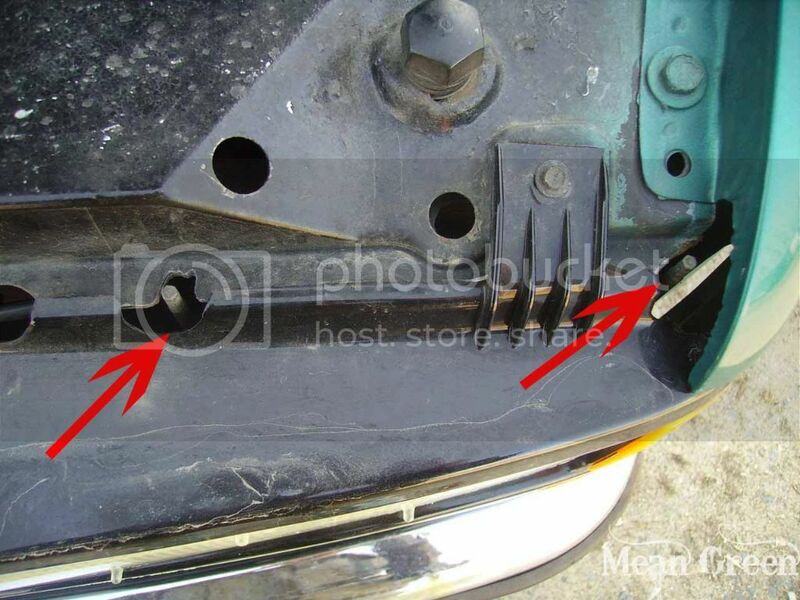 A tell tale sign of a headlight harness that is under par is an issue called "Flickering". Flickering is where one HID will ignite and the other won't. 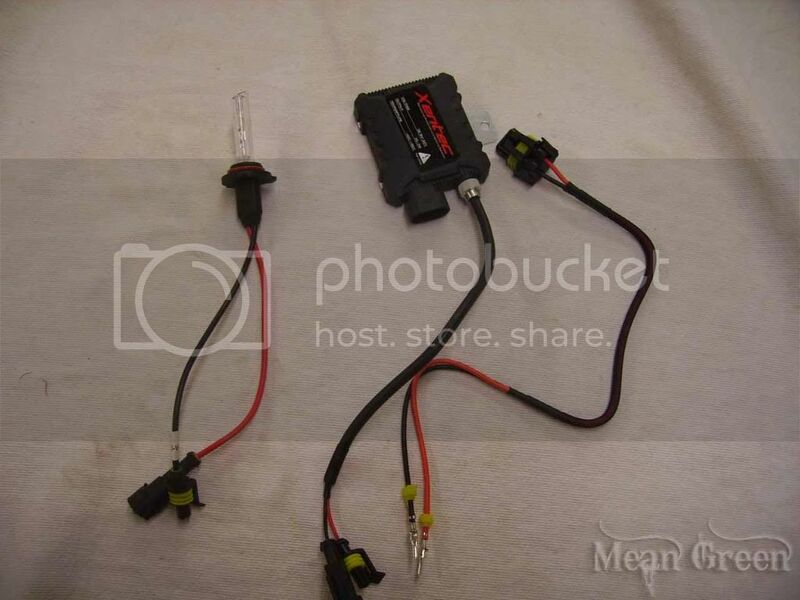 HID's take a lot of power to initially ignite the bulb, and when the OE Headlight harness is not up to the task, the HID ballast's will "starve" power from one another because of the large draw they take initially. (Ex. drivers side will light up, but the passenger side will not). A Heavy Duty Headlight harness will remedy that problem, our HD Headlight Harness' utilize relays to draw "clean" power DIRECTLY from the battery, and deliver the power to the headlights using 12 Gauge wire to ensure that the headlights are getting the full 13.8 volts. 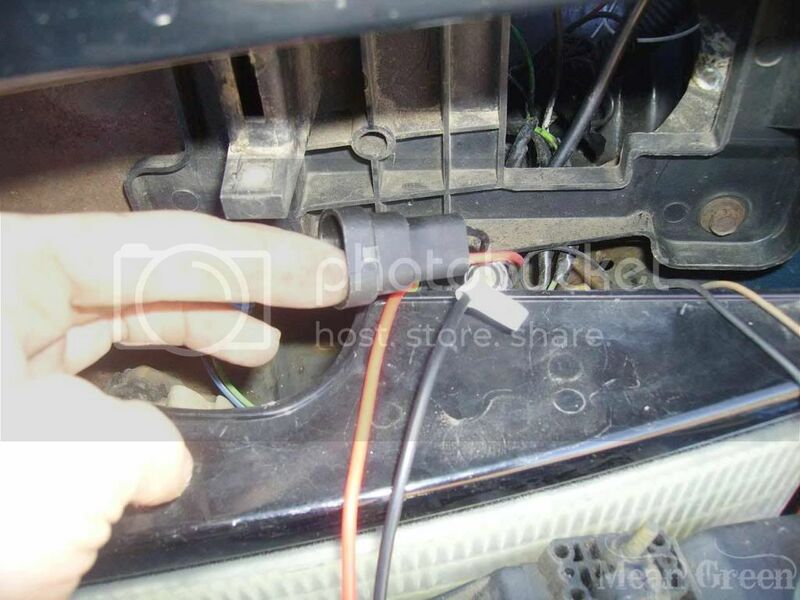 Where as the stock set up, the headlights draw there power from the headlight switch using 16-20 gauge wire, and the headlight switch draws its power from the interior fuse box. Which results in a substantial voltage drop by the time the power reaches your headlights. 1. Start off by finding a suitable place underneath the hood to mount your ballast's, it's optimal to find a place that is always dry and relatively close the opening in the core support for the headlights. On GMT400's the inner fenders are a perfect location. 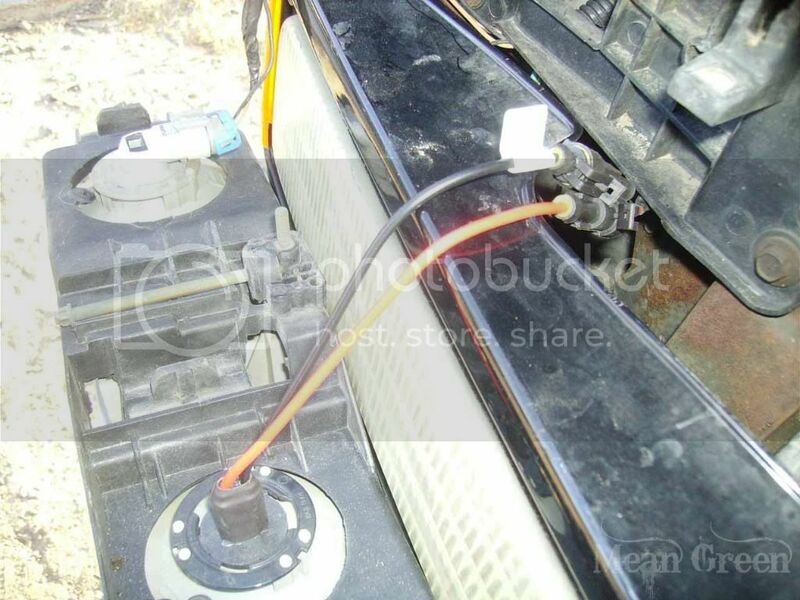 Be sure to make sure that you mount the ballast so that the wires reach the bulb! 3. Now it's time to mount the Ballasts', most of the HID kit's utilize double sided tape for mounting the ballast. These Xentec slim ballast also have a metal backing plate for mounting as well. So find the location you desire to mount them and mark the hole to drill for the screw to mount the ballast. Once the hole is drilled, install the ballast with a 1/2" #8 or so metal screw. You can also elect to use both, the double sided tape AND put a screw through the eyelet in the backing plate. Also be sure to use some Lacquer Thinner or Rubbing Alcohol on a rag, where your Double Sided tape will be installed to promote adhesion. 5. Now plug the wires that routed in step #4 to there appropriate locations. The 2 wires that have 1 female plug, will plug into your original headlight (9005 and/or 9006 for GMT400's) plug. Also be sure that the 12+ red wire from the ballast plugs into the 12 + side of the 9005 or 9006 plug. The other set of wires, gets plugged into the HID bulb. 6. 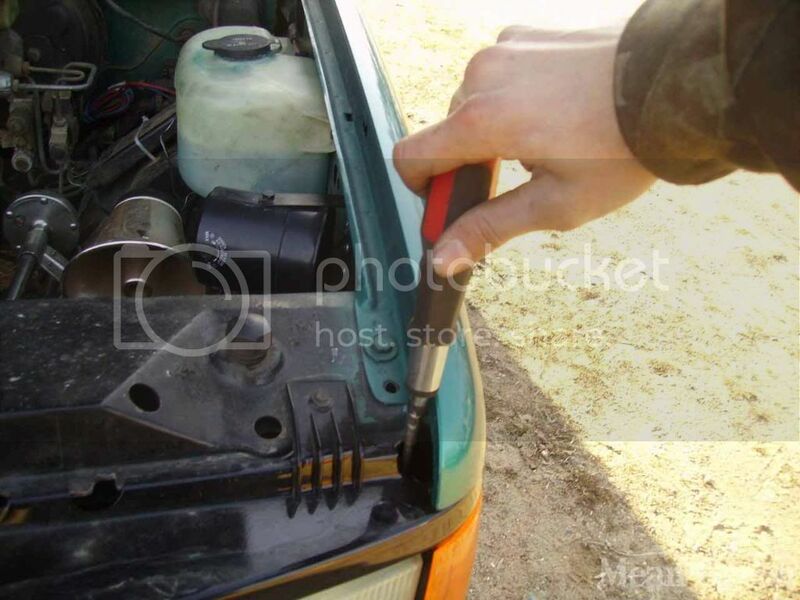 Remove the old halogen headlight bulb from the headlight housing, and install your new HID bulb into it's place. Be sure that you turn the bulb into the housing fully to insure a weather tight seal. 7. Now simply put your Headlight assy. back in it's place by reinstalling the 2 bolts that you took out in step number 3. Also take caution to not pinch any wires while doing this task! 8. Now simply repeat the process for the other side, and then your done... almost! You now have HID light's in your truck! When you first get your bulbs installed, let them on for around ten minutes to "burn them in". You'll notice that it takes from 3 -8 seconds for the bulbs to get up to temp and achieve full brightness. 9. VERY IMPORTANT STEP!!!!! BE SURE TO RE-AIM YOUR HEADLIGHT HOUSINGS AFTER INSTALLING HID'S!! YOU DO NOT WANT TO BLIND ONCOMING DRIVERS!! BE KIND, AND DO NOT BLIND!! There are several other elements to consider when deciding on what is the best lighting set up for your self, HID's have become more and more popular in recent years and have a reason on why they've become so popular. The light output (lumen wise) is far superior of that of a equal wattage halogen or sealed beam head lamp. There are other ways to install HID's as well such as doing a projector retro-fit (where a OEM HID Projector is installed into a older model vehicle so the HID's can utilize the housing in which they where generally designed to) but the major con of that task is the price. Regardless of what you have for lighting now, or what you are upgrading too, the MAIN objective is SAFETY! So please take that into consideration when choosing what is best for you!! Thank you for taking the time to read this article! Have a great day, and have a bright night!! Last edited by VH Coachworks; 04-07-2012 at 03:05 PM. That is a great write up. It should be mentioned that improper installation and, in some case, unapproved kits, can not only be dangerous; they can get you in hot water with traffic enforcement. Be sure you are familiar with local ordinances that relate to this mod before you do it. The legality of HID conversions is a pretty gray area. My searching has never led me to anything on any official level that specifically claims HIDs to not be legal, but I have come across a few unofficial web pages posted by states speaking of their illegality. It is better to keep in mind that you are probably pushing the law and might get popped for it if the wrong cop sees you with them. One very good way to keep your radar profile smaller is to stick with the 4200-5000K range of color temperatures that VH Coachworks speaks of. All cars that come factory-equipped with HIDs are in the 4100-4300K range. That's the sweet spot for the whitest light. By comparison, halogens are around 3300-3500K. 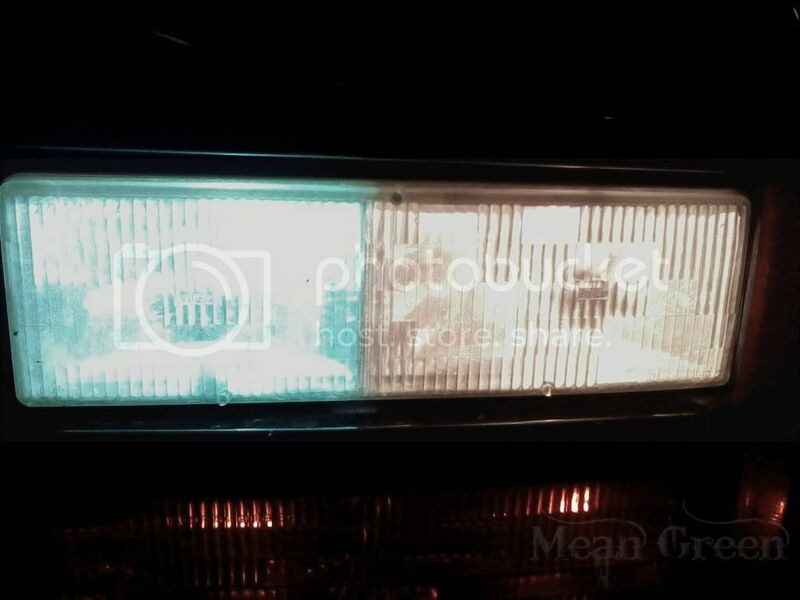 A lot of people doing HIDs want the really blue colors that just make them look like posers and are more likely to attract unwanted attention, not to mention the fact that they're just wasting light and aren't getting the visible lumens that HIDs are capable of. Another suggestion I give people is to find a good headlight housing with a glare shield over the lowbeam bulb. The '03+ Silverados and all the GMT-900 trucks already have glare shields on them, but earlier trucks using refractor housings don't have the glare shields. For the GMT-400 trucks, the best headlight housings you can buy are the TYC Elegante headlights. They're a nice, clear reflector housing, they fit nicely, they're of a good quality and they have the glare shields. I have the Elegante lights on my '98 Suburban and they work very well with the HIDs. In my experience with many different styles and brands of aftermarket lights for these trucks, these are the only ones I've ever been happy with, HIDs or not. Finally, to re-iterate VH Coachworks' plea, please be kind and do not blind! Take a little time to aim your lights and make sure you're not blinding everyone else on the road. There are many out there who believe that you cannot do a drop-in HID conversion without blinding everyone else on the road. Most who do them give the whole job a bad rap because they don't care and even think it's funny that they're blinding other drivers. With a little care in the install, it is possible to do the job and be safe with your HIDs and NOT blind other drivers. I have seen plenty of drop-in HID conversions, including my own, that don't bother my very photo-sensitive eyes. But there are also plenty more out there that blind the crap out of me. I will also add that drop-in HID conversions are not optimal by any means. You just can't get the proper beam and cutoff from a housing designed for halogen bulbs. Though, if you stick with a good color temperature you will get a much brighter, whiter light and have much better visibility at night. The most optimal idea would be a retrofit using proper projectors designed for use with HIDs, but you have the issue of much greater cost and if you're not real good at fabricating things, it could be an issue. Any solutions for 67-72 trucks with the round headlights? Perhaps an H3 assembly with HID inserts? '71 C-10 with 5.3 LS2 cam & NWC T5 - Patina King! I see it mentioned a lot that Jeep Wrangler round headlights are good replacements for round sealed beams. New Wranglers use a 9008 (H13) bulb. Thanks for the great write up and letting us guys with the older twin seald beam headlights know that the Jeep Wrangler lights will work. I just added this to my build ideas for my 64 C10 truck. Updated original post with some more information! do you think You can make a relay kit with the h13 connector on it? i'm scared that the h13s will pull more the the wiring can handle even though its a new aaw wiring kit installed? My work (just an example) sells 7" HIDs, which would fit 60-66 Chevy pick ups, for not too bad a price. I work at a truck stop, so I'd try looking there if you want local, they can give you a price. On the color temp issue... I just thought it was funny; my ex-wife bought my daughter a Jeep that had spend the last several years as a show vehicle. It was a Ravens tribute vehicle (which is why the ex and my little girl wanted it... lol) and the HIDs in it were downright purple! Looked cool but obviously a no-go for the street. Fixed it up with OEM bulbs. you never did respond about a relay kit for an h13 blub? Sorry, missed your question the first time! But yes absolutely, we can definately make you a Heavy Duty Headlight Harness with the H13 headlight connectors for your truck! If your interested in a harness, shoot me a PM and we'll get you set up! sweet it be a few weeks before i can have the spare cash but i will send you a pm in a few weeks! we need some info for a 60-66. I'll be shooting you a pM shortly. In case I missed it, what brand of HID kit is the most reliable? My brother has purchased 2 different kits from ebay and they have not been worth a darn! In other words, you better have stock bulbs in the truck or you'll be driving by moon light. We do have a HD headlight harness available now for the 60-66 chevy truck! Baron, I received my harness. Thanks again, I'll let you know how the install goes. Great you got it, we really appreciate your business, thanks again! With all the above being said, I will be the first to tell you that a Projector retrofit is the superior set up for HID's period. The HID's will perform better in a projector then in a reflector based housing. I am personally in the process of retrofitting a set of Morimoto Mini H1 Bi-Xenon projectors into my truck. Retrofitting projectors is a tedious process and takes some skill. 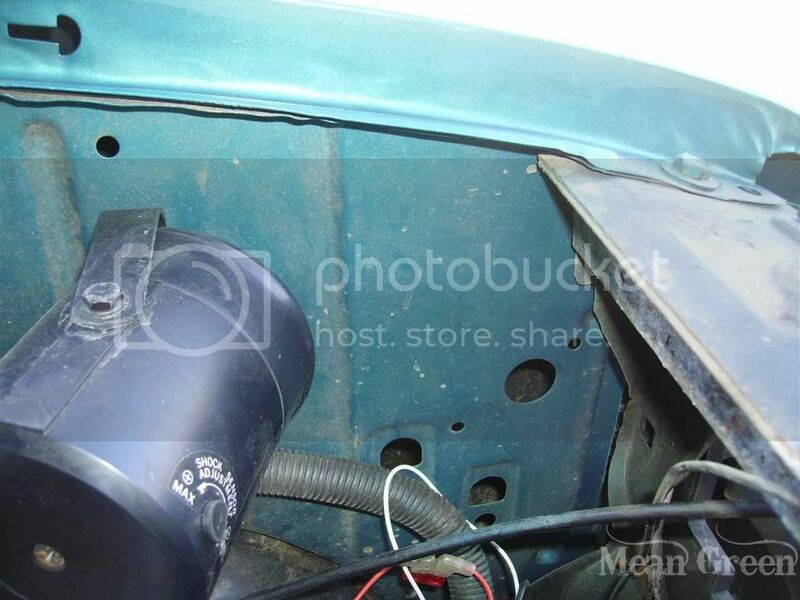 I will not say that HID's should not be installed into a reflector based housing. If the headlight is aimed within reason, and features a "glare cap" (Which greatly reduces glare regardless of the light source type) then HID's will be give you a great upgrade in light output, as well as giving you a reduced amperage draw on your vehicle. There are always a few bad apples out there (as there is in every group) that will run a 15000K 55W HID in a headlight housing without a glare shield and have improper headlight alignment blinding everyone on the road, don't let the few bad apples ruin it for the rest of us with the knowledge and courtesy to have a superior and safe set up. We do not sell any HID's, or Halogens for that matter. Or Headlight housing assemblies either, we manufacture and sell high quality Heavy Duty Headlight Harness's. So it's not like we are trying to persuade people to buy HID's. I put together this article to help people get a better understanding of a great option for a step up in light output. HID's are a great option for people wanting more out of there headlights. Thank you for your input on the topic, but please don't try to tell people that they are not informed or being impolite to oncoming drivers if they run HID's without utilizing a projector based housing.